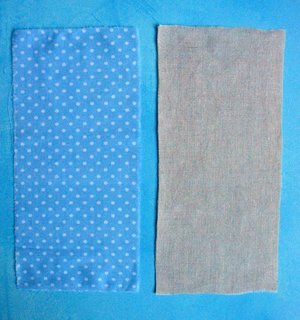 Here's a 'how-to' for a little purse that's quick and easy to do. 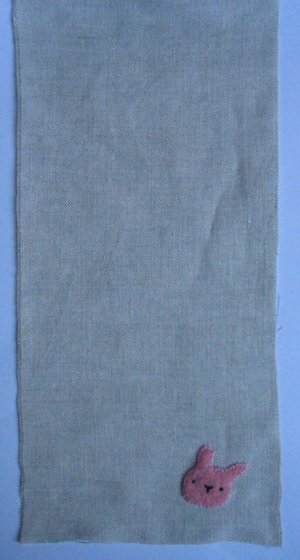 Cut two rectangles measuring 31 x 15cm or 12.5 x 6", one from your main fabric and one from your lining. 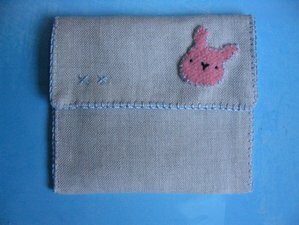 Decorate the front of your purse however you choose to, I've cut a simple bunny from felt. For lots of inspiration visit kkomegii. 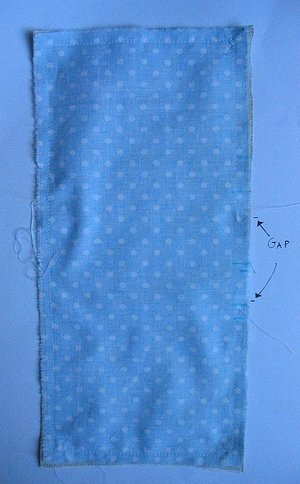 With right sides together, stitch your two pieces leaving a gap as shown. Turn right side out and hand stitch gap closed. 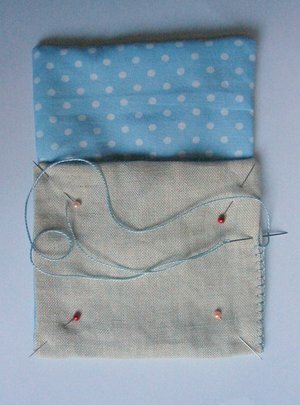 Fold over, about 11cm or 4.5" from bottom edge to make your purse shape, and then blanket stitch the sides together. Blanket stitch around the remaining edges and you're done. I've used a snap fastener to secure it, but I forgot to take a photo of that and it would have been a boring photo anyway. For more rabbity loveliness, look here and your little purse will soon be empty. East peasy Japaneseey.Its a legit saying in Australia. Wonderful, and so easy to do. Thanks for sharing! Such a sweet little purse and an equally sweet tutorial! Thanks!! Oh I love these comments tonight - it's like we're all at Lyn's getting loopy on Shiraz. What fun! Ok, got the giggles, will go now. Love the purse, something do-able even after a pop or 2. Hey thanks for the tutorial!! I'm gunna give it a go!! 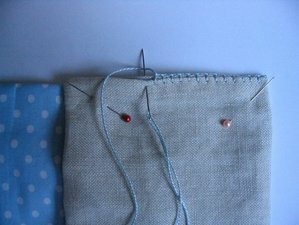 Blanket stitch just rocks my world! Adorable, adorable, adorable! I desperately need a new wallet and this project is just perfect (with the exception that my sewing machine is getting "tuned" right now.) Thanks again for inspiring me! Linked to you from Soul Mama, and just had to say thank you for the "purse lessons". My little girl turns 3 on the 17th and a little wallet/purse was on her birthday wish list. This will be perfect!!!! What a darling little purse! Thank you! This was so much fun...thanks Lyn. Ace pattern. i love your crafts too. Thing is, I only have felt =/ its the right size but will it work ? ?